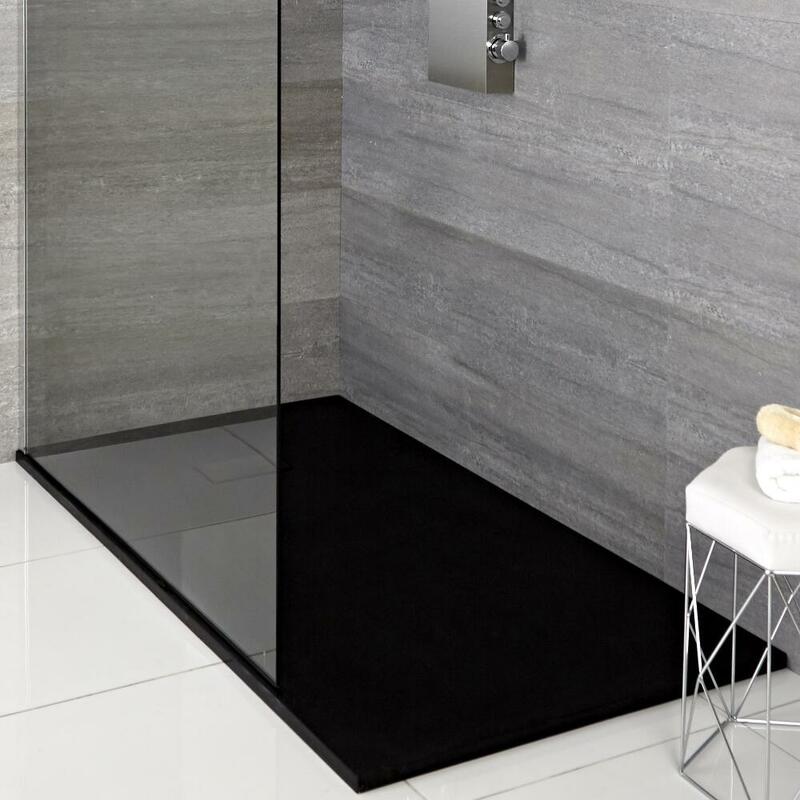 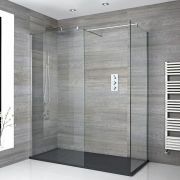 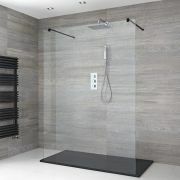 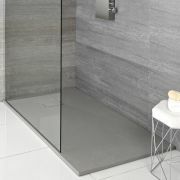 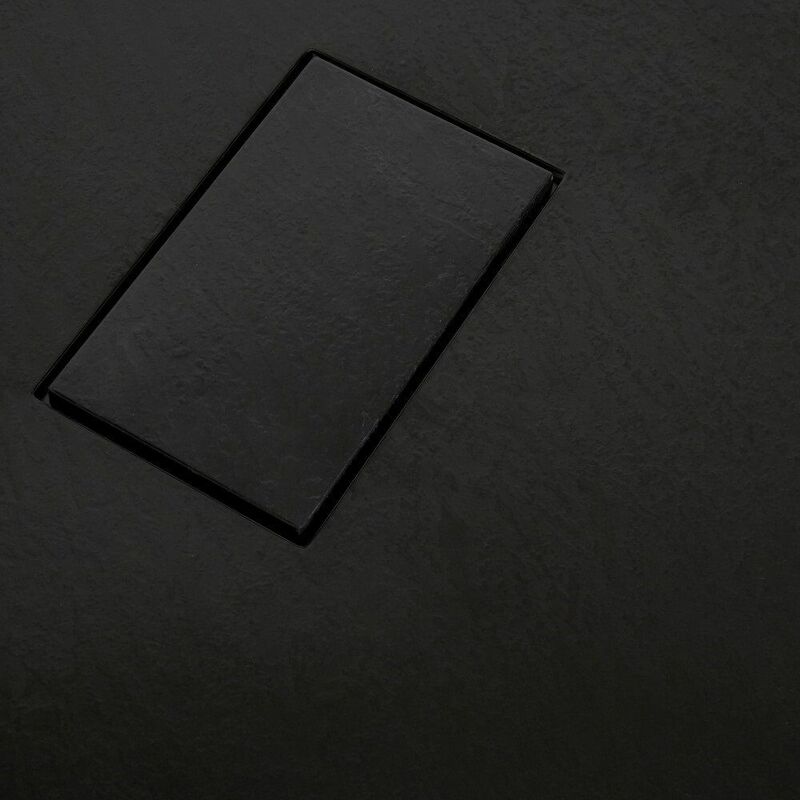 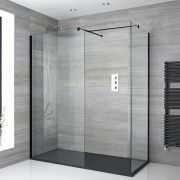 Add a natural feel to your bathroom and create a designer look with the Milano graphite slate effect shower tray. 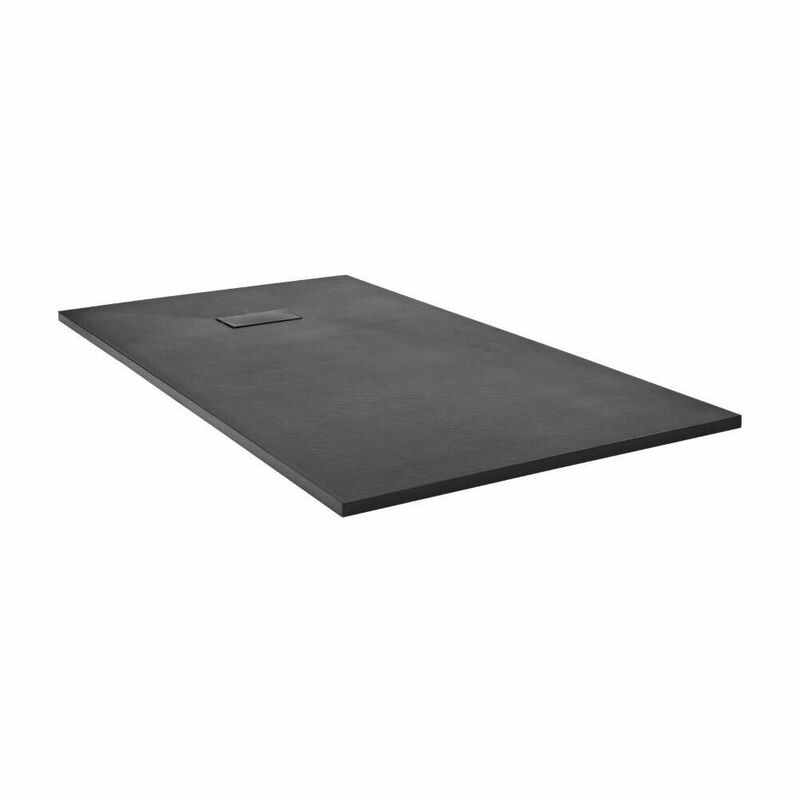 Measuring just 30mm high, this shower tray weighs 50% less than a stone resin tray, making it easier and safer to handle during installation. 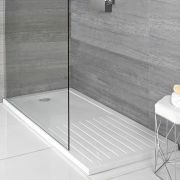 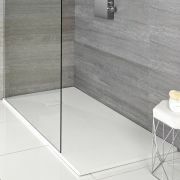 To reduce unnecessary weight, the underside of the shower tray is hollow, but thanks to the strengthening lattice featured on the back, the tray is extremely robust. 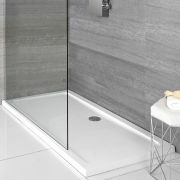 A waste is included with this shower tray.